After a selling wave of one month, this well supported stock may start to run again. The current bullishness in Hang Seng Index may also push this S-chip up. 1) Watch out for Jaya, Giken, Pacific Radiance and CWT as posted this week. They are coming!!! I love this stock. Trading this stock is like riding a roller coaster, it gives me an adrenaline rush. For those who missed the trade on China Gaoxian which I posted on 24/6/2014, today there is an entry signal again. 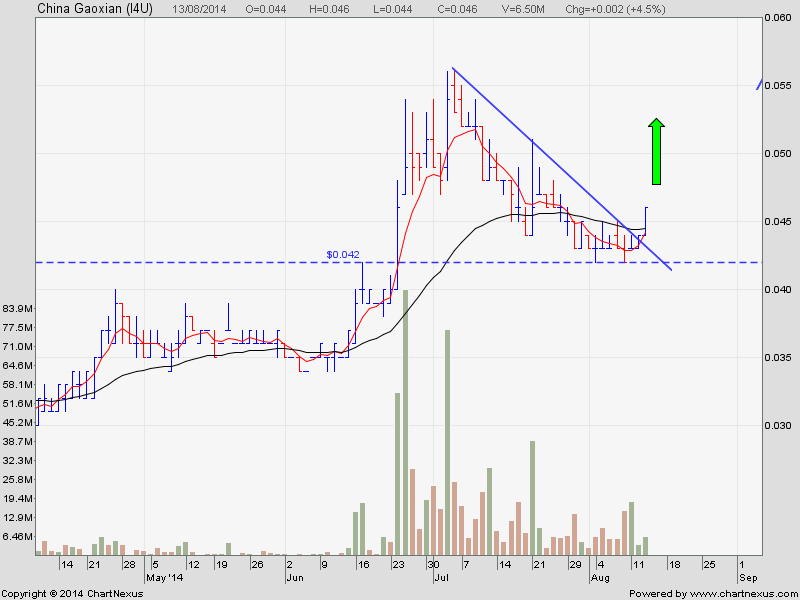 China Gaoxian may be forming a bullish pennant and attempting a breakout. 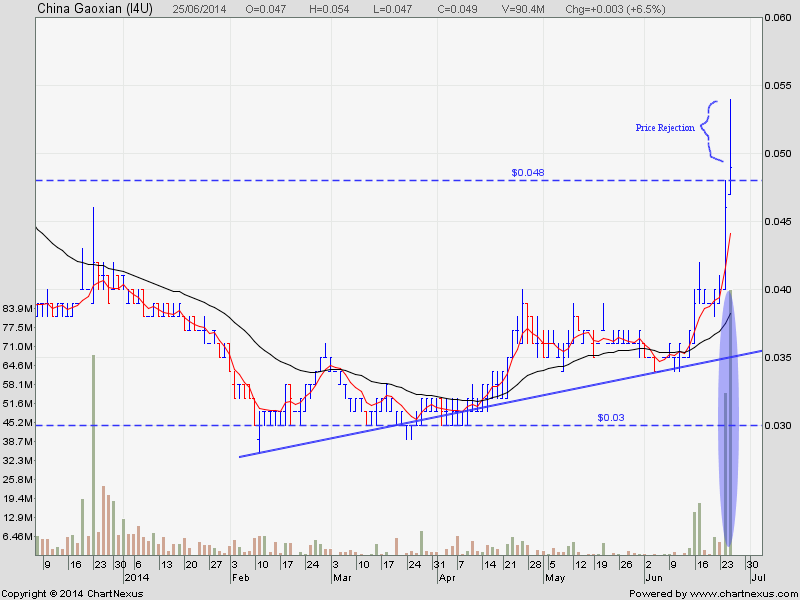 It is well supported at $0.048. NOTE : Do watch out for Jes and Ezion. Have you entered China Gaoxian today which i posted on this blog yesterday? 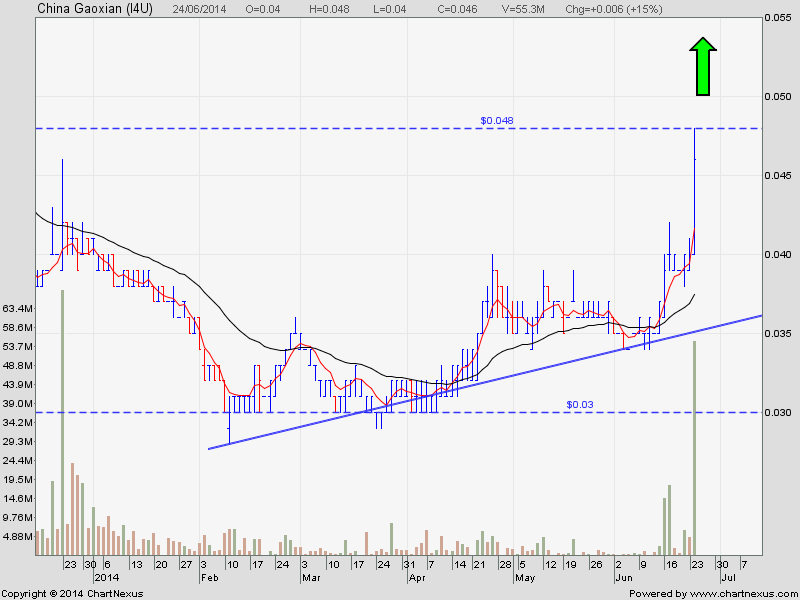 Today it broke out of the resistant level at $0.048 with huge volume. But there is a big price rejection from $0.054 to $0.05. For trader, tomorrow you can close your position if the profit is good. 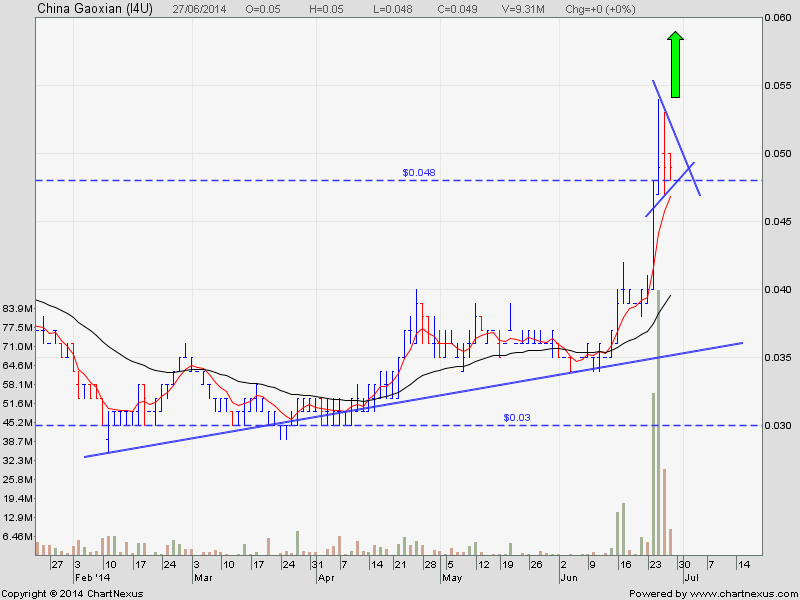 Today, a few S-chip also broke out with huge volume. There may be a sector rotation to s-chip play. You can keep them under your watchlist to monitor. China Bearing, China New Town, China Taisan. From the chart, the selling had stopped and the buying volume had started since 2/2014. 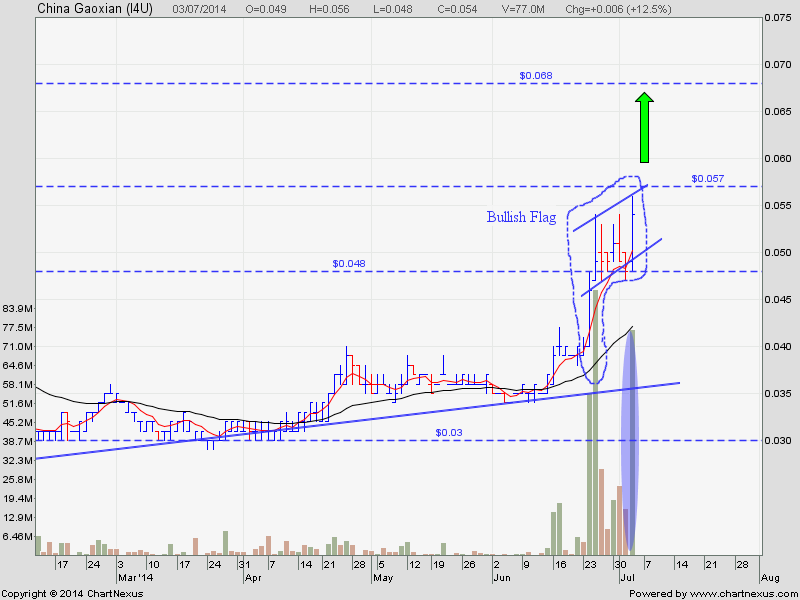 The BBs have started to accumulate this stock since 16/6/14. You can either trade or invest this stock.